Linebacker who was a member of the Washington Redskins from 2006 to 2012. He then went on to play for the Arizona Cardinals, Oakland Raiders and Buffalo Bills. He was a Pro Bowl selection in 2012 and 2016. He attended Saint Mary's College High School where he began playing as a defensive lineman. He then went on to play in college for the University of California. He was named the AFC Defensive Player of the Month in October of 2016 as well as the Pro Bowl Defensive MVP in 2016. He was born and raised in Oakland, California and is married with two daughters and two sons. 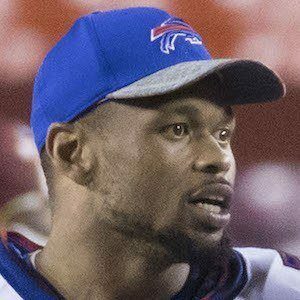 He became teammates with quarterback Tyrod Taylor in Buffalo.